What is the Acropolis educational resources repository? 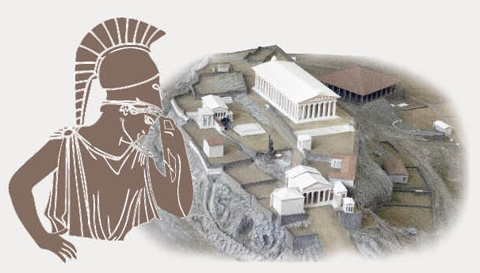 The Acropolis Information and Education Department produces a range of resources that refer to many different subjects. These resources aim to help teachers prepare themselves both for classroom teaching and for their school visits to the Acropolis and the Museum. In collaboration with the National Documentation Centre (EKT), the Acropolis educational resources have been documented and catalogued in this repository. All this content is now easier to manage, search, find and re-use by educators, students, families and the wider public, according to their needs. Teachers can find here reference material and prepare for classroom study or a visit to the Acropolis and the Museum. A range of resources, such as online applications, books, films, leaflets, museum kits and backpacks enrich classroom learning before and after the Acropolis experience. Students will find here reference material about the Acropolis and its monuments, for their school papers. Families and the general public can also find useful information here to prepare a family visit and enhance their Acropolis experience with rich educational content. How can I use the repository? Find here printable resources that will help you prepare for classroom study or a Site visit, like e-books for children and teachers material. You may search the collection via various criteria such as Monument, Subject, Type, Education Level, or Typical Age Range. Browse the photography collection, the video collection and the online applications and enrich your teaching, learning and understanding of the past.